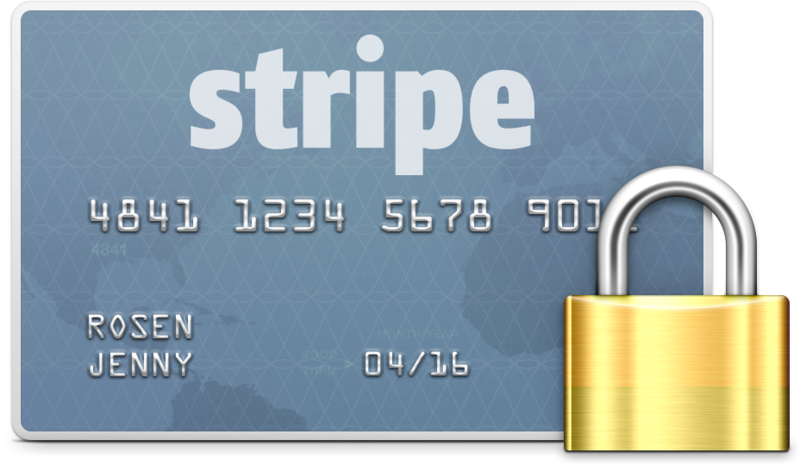 You have a WordPress site and want to accept donations with Stripe. You found the WP Stripe Extended plugin by Michael Khalili, tried to install it, got an error message upon activation, and want to fix it. 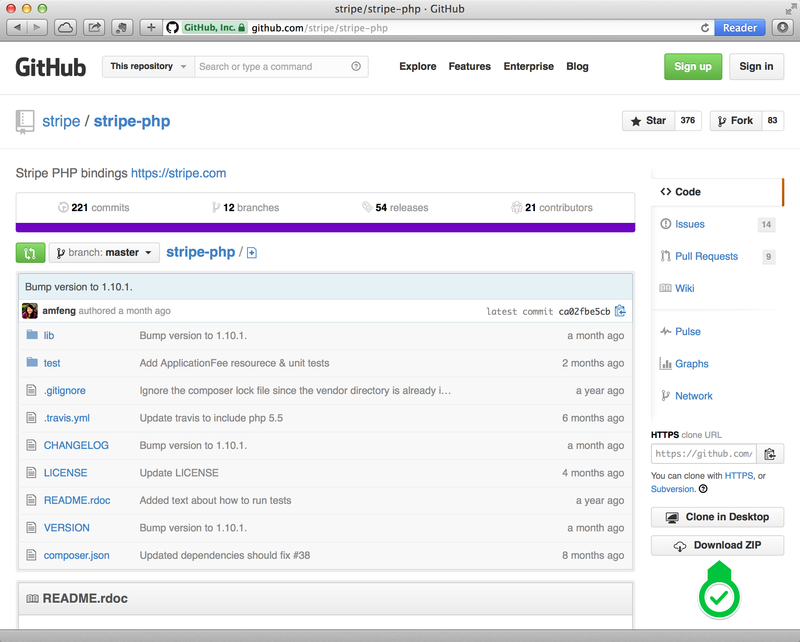 Install the Stripe PHP Library. At the time of this writing, if one goes to Michael Khalili’s WP Stripe Extended GitHub repository, downloads the ZIP archive, and tries to install the plugin as-is, WordPress looks for items in an empty library folder which throws an error preventing activation. It’s not Michael’s fault! The GitHub repository links to the Stripe PHP Library, and do not download with WP Stripe Extended when the “Download ZIP” button is pressed, so we have to fetch them manually. I don’t know why this is the behavior, if you know why feel free to post in the comments section. All we need to do is copy and paste the current Stripe PHP Library to fix it. It’s easy, let’s get started! 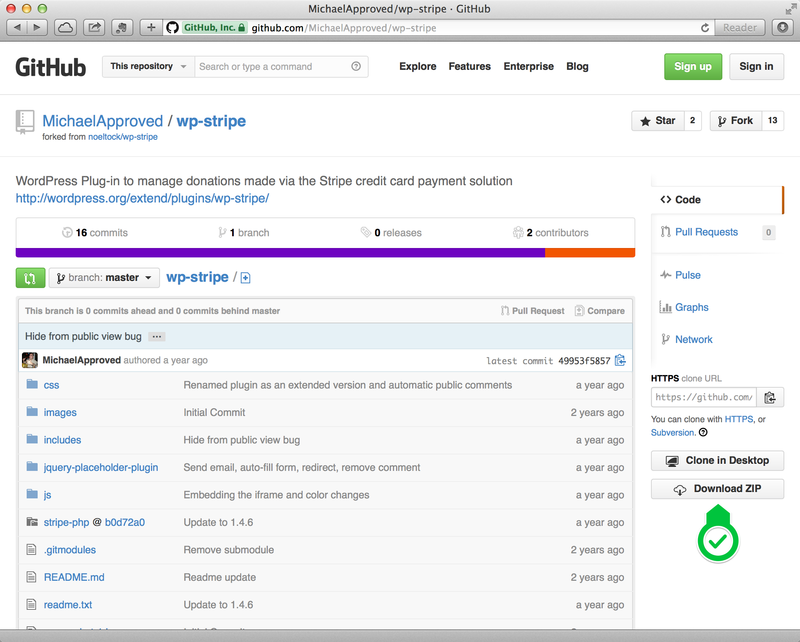 Go to Michael Khalili’s WP Stripe Extended GitHub repository and download the ZIP archive. The “Download ZIP” button is on the bottom right of the page. It’s free and you don’t need an account. Now you have the “wp-stripe-master.zip” file on your computer. Rename the “wp-stripe-master” folder to “wp-stripe”. Go to the Stripe PHP Library GitHub repository and download the ZIP archive. Now you have the “stripe-php-master.zip” file on your computer. Unpack and copy everything inside the “stripe-php-master” folder. Paste in to the existing “wp-stripe/stripe-php” folder. Create a ZIP archive of the updated “wp-stripe” folder. You should have an archive named “wp-stripe.zip” as a result. Go in to your WordPress installation and install the updated plugin “wp-stripe.zip” as usual. It’s a good idea to keep an eye on both GitHub repositories for updates since, at the time of this writing, you will need to manually update this plugin. A big thanks to Michael Khalili for his awesomeness! I hope this is helpful to you! Feel free to post comments. Here’s looking to another great year loving, living and learning, with my wonderful family!